If your like us you want to know what your eating and where it comes from. Well we have also added Genetic Modification to that list. We want to make sure we are eating food the has not been modified by people working in labs. So you might ask, Haven't growers been grafting trees, breeding animals, and hybridizing seeds for years? Here is the difference. Genetic engineering is completely different from traditional breeding and carries unique risks. In traditional breeding it is possible to mate a pig with another pig to get a new variety, but is not possible to mate a pig with a potato or a mouse. Even when species that may seem to be closely related do succeed in breeding, the offspring are usually infertile—a horse, for example, can mate with a donkey, but the offspring (a mule) is sterile. With genetic engineering, scientists can breach species barriers set up by nature. For example, they have spliced fish genes into tomatoes. The results are plants (or animals) with traits that would be virtually impossible to obtain with natural processes, such as crossbreeding or grafting. 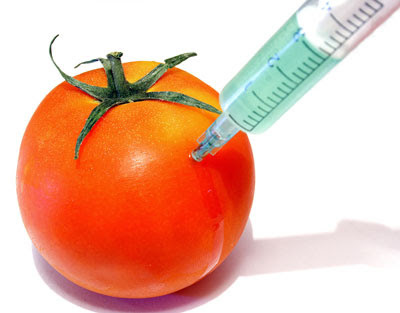 Several studies show "GM foods pose a serious health risk in the areas of toxicology, allergy and immune function, reproductive health, and metabolic, physiologic and genetic health."